Pregame football meals should be eaten at least three hours prior to the start of a game and should consist largely of foods rich in carbohydrates. Protein and fat should be kept to a minimum because these nutrients take longer to convert into energy, which is of the utmost importance for a football player to perform optimally on the gridiron. Carbohydrates are converted to energy quickly and come in two forms: simple and complex. Complex carbohydrates are found in foods such as whole-grain pasta, potatoes and whole-grain breads and cereals, while simple carbohydrates come in foods such as fruits, sugar and honey. The body breaks down carbohydrates into glucose and then stores it as glycogen in muscle tissue. As you begin exerting yourself during the game, your body converts the glycogen back into glucose and uses it as energy. You can further enhance the amount of energy available to you during a football game with a diet in which carbohydrates account for about 70 percent of your caloric intake for two to three days before game day. While protein plays a vital role in providing your muscles with energy, it is broken down too slowly to be effective in a pregame meal. Fats fall into the same category and, like protein, should be consumed in small quantities as part of a pregame meal. 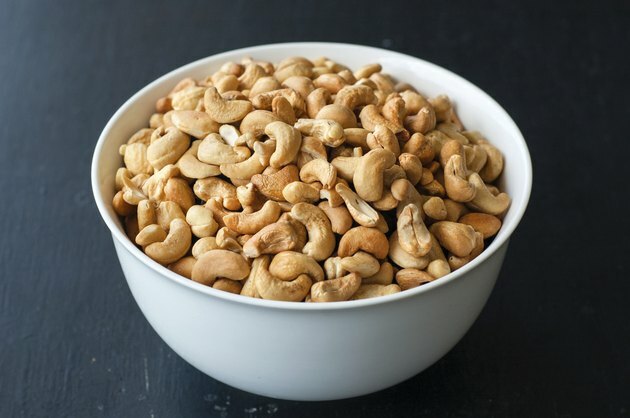 Incorporate protein into your pregame meal in the form of lean meats, such as turkey and chicken, or nuts, such as cashews or almonds. The meal’s limited amount of fat should come from mainly from the “good” fats, such as polyunsaturated and monounsatured. You should keep the “bad” fats, which include saturated and trans fat, to a minimum. A 6-inch turkey breast and Swiss sub sandwich on whole-wheat bread with lettuce, tomatoes and bell peppers is a good carbohydrate-rich pregame meal that is easy to make and will satisfy. Throw in some raw baby carrots and a small apple, and you’ll be properly nourished for game time. If you’re more in the mood for pasta, eat a healthy portion of spaghetti in marinara sauce with ground turkey meatballs with a side of steamed broccoli and rice. Your beverage choice should include either water or low- or nonfat milk. Because football is a game that can last up to three hours, you might need to replenish your energy levels by eating or drinking something at halftime or during the game. Simple carbohydrates, such as sports drinks or fruit, are ideal for these situations because of how quickly the body converts them into energy. Pregame meals are not a time to sample new foods. Stick with foods your body is familiar with and avoid foods that may not agree with your digestive system. Also avoid foods that cause gas, such as cooked beans and cabbage. What Is a Good Pregame Meal for a Basketball Player?